Born in Milano, Italy in 1949, she attended the "3A Academy of Graphics and Illustration" and the "Castello Sforzesco" painting school in Milano. In the early stages of her career she started working in the advertising, fashion, and publishing industries. 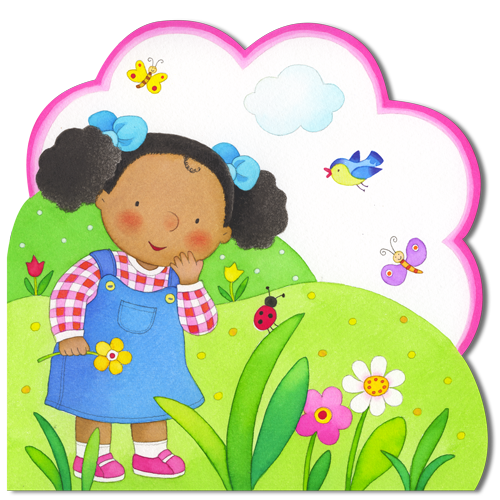 The encounter with "La Coccinella", a leading Italian publisher, was the key event which motivated her immersion into the world of children's publications. From that day on she never stopped thinking about what and how children can learn and explore through the pages of a book. The long-term collaboration with the publisher "HappyBooks" allowed her to create books with three-dimensional design and shapes, particularly suitable for children's small hands. This is the path that allowed Roberta Pagnoni to became a leading contemporary children's book illustrator, with countless publications translated into many languages. The hands of his son indeed explored many, many of her books and represented an important source of unintentional inspiration. In addition to her work as an illustrator, she has recently expanded her interests to new expressive media by creating applications and ebooks for mobile devices, where her unique hand-drawn illustrations are brought to life through engaging computer animations.